I'm less than a week away from being a parent of a kindergartner! Where did the time go? For real. I'm not overly emotional about it (yet). I am, however, overwhelmed. Making sure all the school supplies are bought, going to mandatory parent meetings, getting into a routine.....it stresses me out. And everyone knows a good cure for stress is ...... ICE CREAM. So, the other day I finally gave in and bought the Reese's Peanut Butter Cup Oreos. I wasn't going to give in because I've been a little perturbed with Oreo, lately. I mean, Watermelon Oreos? Seriously, Nabisco, what were you thinking? Fruit Punch Oreos? Um, no. Were there five year old kids running the R&D department that week? I mean, really. But, they totally redeemed themselves with these wonderfully peanut buttery Oreos. So, I thought I would take it up a notch and throw them into some homemade peanut butter ice cream. Best decision I've made in a while. Puree the peanut butter, sugar, half-and-half, salt and vanilla extract in a blender or food processor until smooth. Chill the mixture thoroughly in the fridge (I did overnight), then freeze it in your ice cream maker according to the manufacturer's instructions. With about 5 minutes left in the freezing process, add the chopped Oreos carefully. Next, transfer the mixture into a freezer safe container and finish freezing ice cream, about 2-4 hours. Remember when we tried to go to the Loveless and ended up at Cracker Barrel instead? And that was when H was barely walking. I can't believe she's about to be in school! Too fast! Agree on the crazy Oreo flavors, let's stick with what we know, mmm kay? Those Reese's Oreos are top dawg for me. Like I'll take the over the original. I want to bury my face in this ice cream! This time of year definitely calls for ice cream! 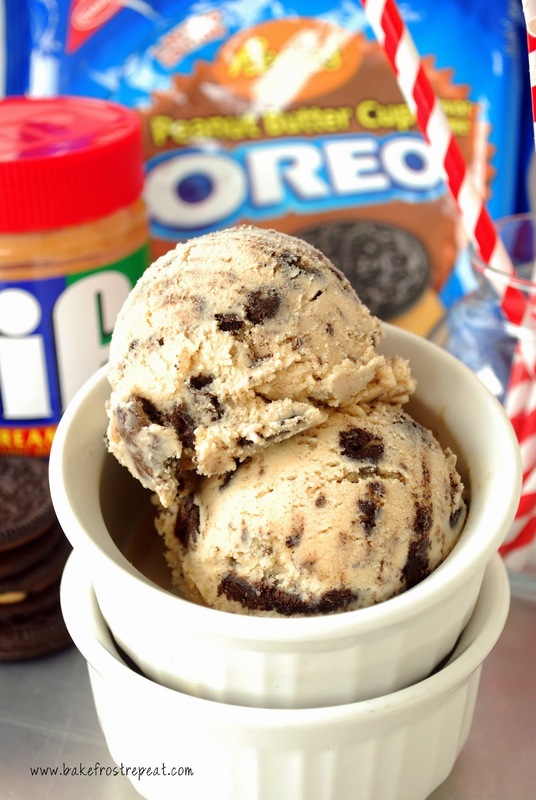 Man oh man it looks and sounds amazing; I need some peanut butter Oreos in my life, specifically in the form of decadent homemade ice cream! I can't believe you have a kindergartener! I feel like I'm going to be there in a blink. =) And I agree, ice cream is the best way to deal with stress and this looks AMAZING. I just tried my ice cream maker for the first time a few days ago and loved it - bookmarking this to try soon! Ice Cream is definitely needed when a child starts kindergarten. It seems like just yesterday that my son went to his first day of kindergarten and now he's about to start his last year of high school! I might need some of this ice cream too! yum! 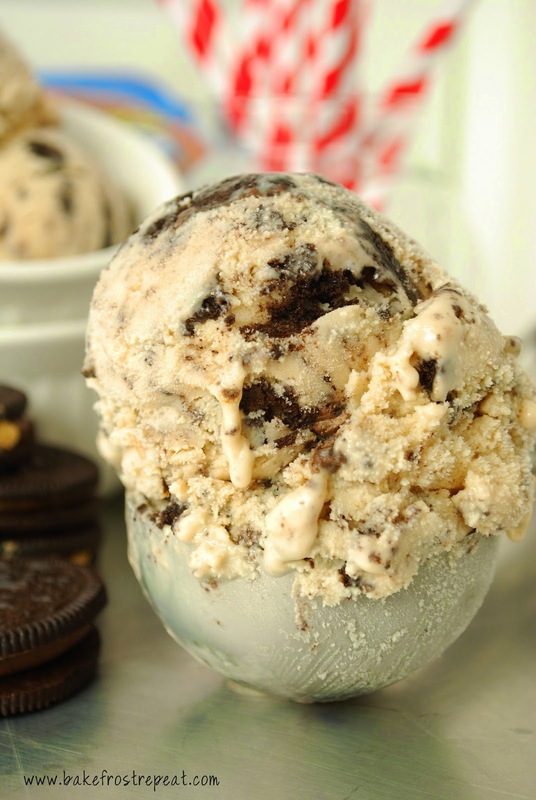 i could definitely devour a scoop or two right now.. nothing beats a good cookies and cream ice cream! Wow! Out of this world ice cream - all combining my favourite things! Ice cream, peanut butter and cookies! !